Smart Fortwo Cabrio 1.0 Prime Sport Premium Plus 2dr 2019 Review | What Car? What Car? will save you at least £1,582, but our approved dealers could save you even more. 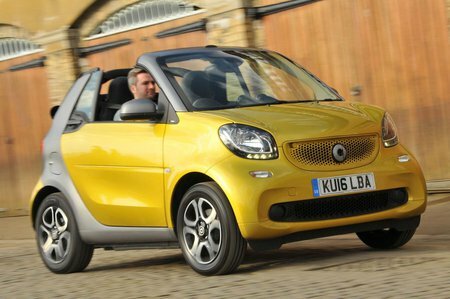 The Smart ForTwo Cabrio is brilliant in town, but its rivals are better to drive and offer more comfort. This is the less-powerful, non-turbocharged version of Smart’s three-cylinder petrol engine, but it’ll do the job just fine for the majority of buyers in a car this small and light. It’s also the cheaper option to buy and run so it’s our pick of the range.